Which Is Better: Laser Hair Removal or Waxing? Do you want smooth, hairless legs this summer? Are you undecided about which treatment is better for you? It is a personal choice for you to make, but we thought we would help you decide by weighing up both waxing and Laser Hair Removal to see which one will come out on top. We have already ruled out shaving as an option because it doesn’t result in as smooth skin or last as long as our other two options. Read on to find out which is better between laser hair removal and waxing. The laserhair removal technique can destroy the hair’s root down to the follicle, which can be one of the most effective hair removal techniques. The most important consideration for laser hair removal is that the treatment works most effectively on a patient with light skin and dark hair, so it isn’t universal or an option for everyone, although new technologies are helping to change this. It is also important to remember that the results of laser hair removal don’t always show instantly. The growth of hair can still come through for the ten days after treatment, meaning that you must shave between your laser sessions. The treatment is also recommended to be carried out in a series of sessions, with the most common amount required being six. However, this procedure, is far more cost-effective in the long run than waxing, and is also gentler on the skin and is less painful than waxing. The waxing hair removal process pulls the hair out at the root, as the wax is applied in the direction of the hair growth in the area and the removed quickly with a strip. The strip is pulled off in the opposite direction of the hair growth, and this treatment can be a painful one – particularly for those with sensitive skin. In order to have a successful wax, you must also allow your hair to grow about half an inch, otherwise the wax may not be able to grab the hair effectively, leaving you with patches which then require shaving. This can be time-consuming as you have to wait for your hair to be long enough before you can be waxed, and you will also be left with very hairy areas on your body for lengthy periods of time between appointments. However,waxing can be worth the pain and waiting time for some, as you are able to achieve an instant, clean look, when you need it. The cost of waxing is much more appealing than laser treatment. For full legs waxing, you are looking at a price around £15-£35, whereas full legs laser can be around £250-£350. Waxing also has the advantage of being able to buy waxing equipment from your local drugstore and do it yourself at home, which will be even cheaper and cost efficient if you manage to have several uses from the products. However, laser hair removal can help to save you money in the long-run, as while there is a large upfront cost initially, this soon fades away and you will no longer have to worry about excess body hair. 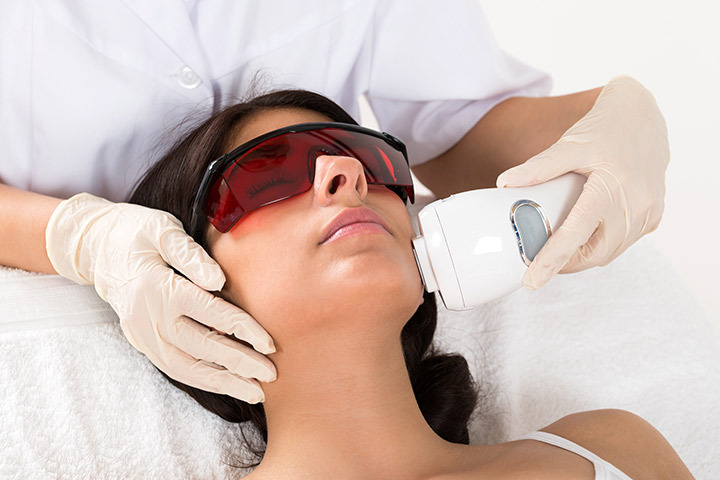 The idea of laser hair removal may leave people thinking that there are side effects and wondering if it is safe to use on the skin. As laser removal burns the root of the hair, you may be worried that your skin might burn. In order to ensure that you achieve the best results, make sure that you are going to a fully licensed professional salon where the therapist conducts a patch test before the treatment to know how your skin is going to respond. Both waxing and laser hair removal can be irritating on the skin so your skin maybe come red, itchy and remain hot for a while after the procedure. By simply taking an anti-histamine and applying aloe vera to the heated or irritated area the skin will soo the down in no time. Both procedures have a number of pros and cons so make sure you consider all the points when deciding which treatment to use. We hope this comparison has helped to make your decision a little easier when deciding between waxing and laser hair removal!